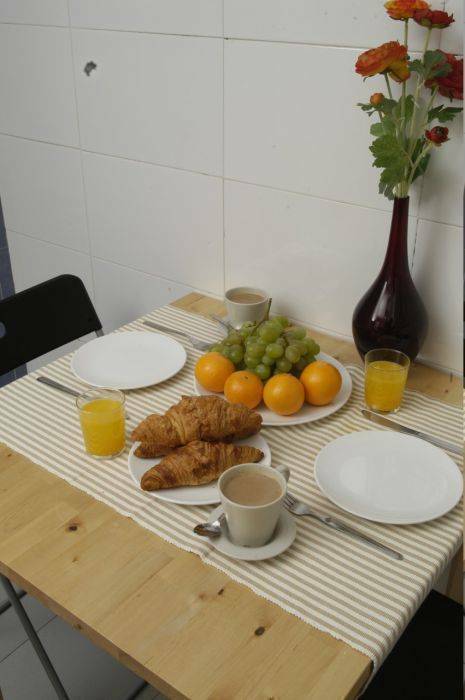 Taking their name from the famous Las Ramblas located just a stones throw away, Las Ramblas Apartments III occupy a prime location. 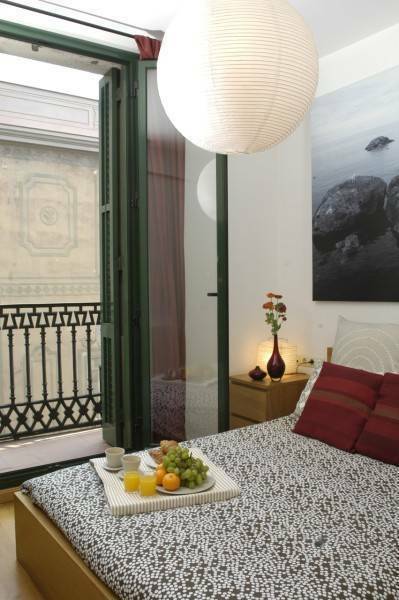 Situated in the heart of Barcelona, these stylish apartments are housed in a refurbished 19th building adjacent to Palau de la Musica and near to the Gothic Quarter, one of Barcelona's most distinctive areas. With many of the city's main attractions on the doorstep, including the Cathedral just a 5 minute walk away, this is the perfect location to discover Barcelona on foot, and soak up its vibrant cultural atmosphere. 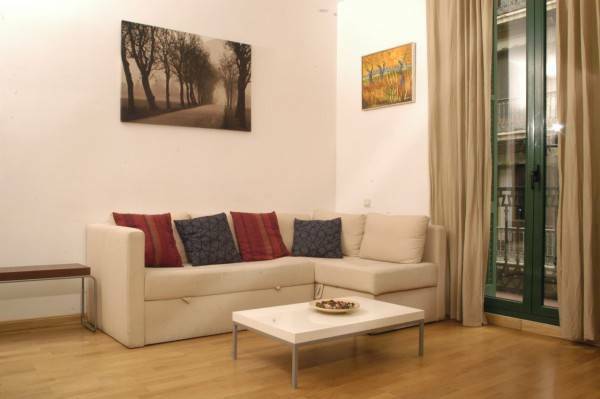 Whether you wish to admire the city's modernist architecture, stroll along Las Ramblas, shop at the numerous boutiques along Paseo de Gracia, or amble through the narrow streets of the Gothic Quarter, Las Ramblas Apartments III is convenient for all. Located in downtown Barcelona, you will also be surrounded by a huge variety of some of the best restaurants, shops, bars, and night clubs that the city has to offer. 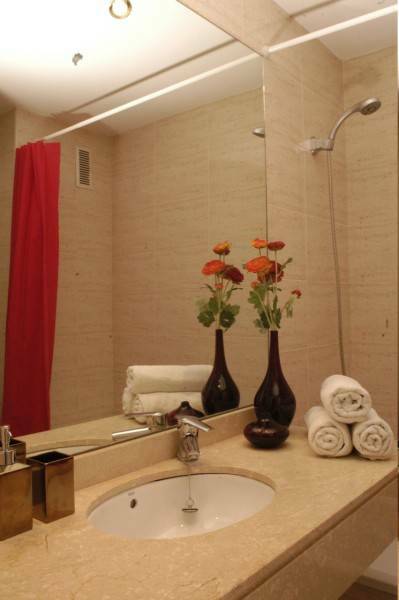 These spacious and brightly lit apartments exude class, and the décor is chic and modern. They can accommodate up to 6 or 8 people and all have air conditioning, central heating, a colour television, a stereo (with CD player), a large dining table and a balcony that faces on to the street. All apartments offer a fully equipped kitchen (with a refrigerator and microwave), a complete bathroom and a living room with a wide sofa bed that can comfortable sleep 2 people. All have air conditioning, central heating, a colour television, a stereo (with CD player), a large dining table and a balcony that faces on to the street. Las Ramblas Apartments III offer a choice of either 2 or 3 bedroom apartments which can accommodate up to either 6 or 8 people respectively. The 3-bedroom apartments consist of 1 room with a double bed and another 2 rooms with 2 individual beds in each. 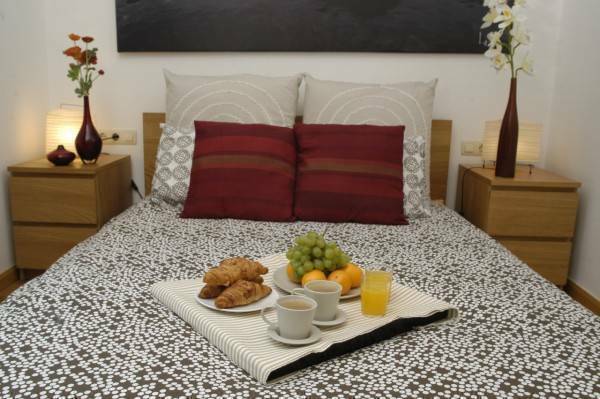 The 2-bedroom apartments consist of 2 rooms, both with a double bed. All apartments offer contemporary decor with light wood furnishings, and modern patterned fabrics and come with a balcony, a fully equipped kitchen (with a refrigerator and microwave), 2 complete bathrooms and a living room with a wide sofa bed that can comfortable sleep 2 people. Towels and bed linen are included in the price. Situated in the heart of Barcelona, near to the Gothic Quarter, one of Barcelona's most distinctive areas and within walking distance of the famous Las Ramblas, the Mercado del Boqueria, Barcelona Cathedral, Ciutadella Park and many more of Barcelona'a greatest sights. At check-in, there will be a 300Euro security deposit charge by credit card pre-authorization, which will be automatically canceled after verifying the apartment's condition. Cleaning service is not included in the price. Barcelona´s International Airport is well connected to the city center by taxi, train, or bus. From Barcelona El Prat International Airport, take L1 train from the RENFE train station to Passeig de Gracia (trains leave every 30 minutes, and the ride takes about 25 minutes). The Boutique Hotel Barcelona is within walking distance from here. Alternatively, take the Aerobus bus, located outside the Arrivals terminal. The Aerobus leaves every 10-15 minutes and stops at Plaça de Catalunya (the ride takes about 30 minutes). Once there, take a taxi to Boutique Hotel Barcelona. (Taxis are readily available at any time at Plaza Catalunya, and Boutique Hotel lies only about 1. 5 km away). The area is well served by public transport. 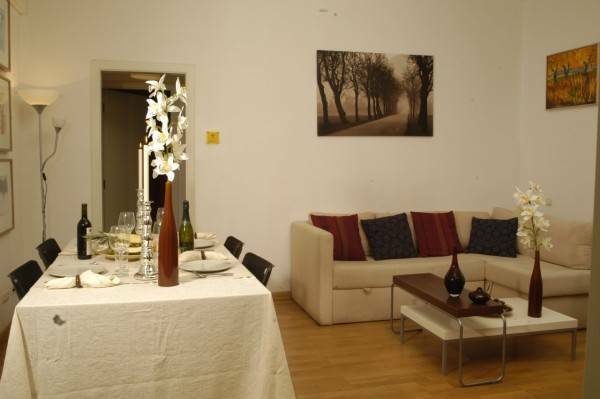 Plaza Catalunya (train and metro station) is within walking distance of the apartments, so you will have easy access to the airport and the rest of the city. There are also numerous bus routes and taxi stops.